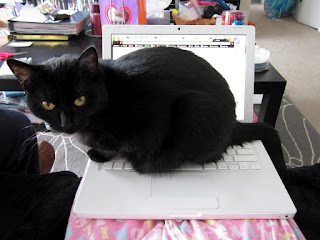 Among the many things I love about blogging, is the passion people have for other people and their animals. When tragedies strike, we bloggers come together. This past weekend I learned about the fire that destroyed the apartment buildings of Amy Palmer and Kathi McKinley. 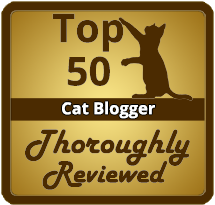 Amy is a friend of a friend - fellow blogger Lisa Richman of A Tonk's Tail...err, Tale. 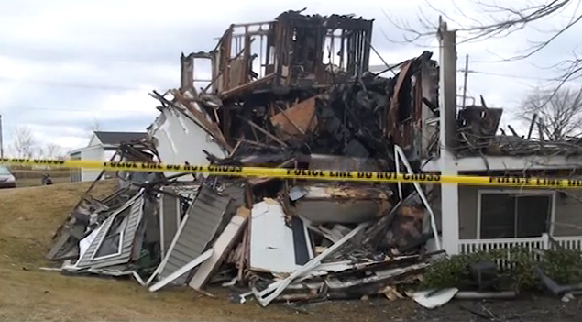 This past weekend, Amy lost her apartment and possessions to a massive apartment fire. Amy was able to rescue her cat Sebastian and her guinea pig Dottie. Her neighbor Kathi was at work when she got a call from Amy that their apartment buildings were on fire. Kathi's cat CJ was found outside the apartment complex, but Kathi's other cat Cosmo has not been found (it is unclear whether he was inside the building or if he made it out -- I know, we're holding back tears too). "It turns out that a vet was on site the night of the fire and she was the one who found CJ running away from the fire. She was able to get oxygen on him right away (thanks to MedAct). That helped counteract his smoke inhalation problems. She also called ahead to Mission MedVet to let them know she was coming." Kathi's cat CJ spent time at the Mission MedVet to recover from the burns he had on his body. As of Sunday 2/26/12, CJ was home with Kathi, but Cosmo remained missing. Among losing her apartment, favorite things that Amy lost included her animal shelter shirts, photos and pet ashes. I thought about the numerous times I imagined what would happen to my family if our house caught on fire. We have seven cats, and it's heartbreaking at the thought of losing any of my cats. They say to get yourself out and worry about everything else later. And to me? 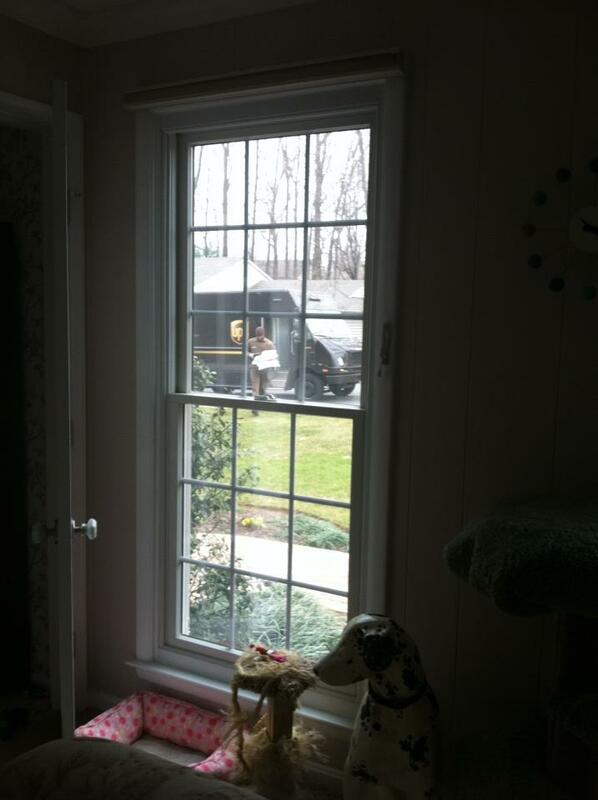 It wouldn't matter, because I would be in there, trying to get my cats out of the house in any way possible. But I know that that is not always a possibility. 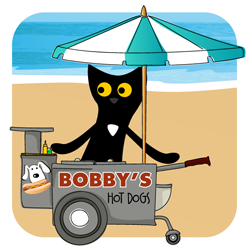 Amy and Kathi are lucky to have Sebastian, Dottie and CJ -- and very sadly, in Lisa's post on A Tonk's Tale today- Kathi confirmed that Cosmo did not make it out of the building. We are devastated to hear that. Amy and Kathi were given new apartments, but they have to start over from scratch. This story hit so close to home, that I knew I had to do something to help. I'm so fortunate and blessed to have so many clothes and cat products - that it was a no-brainer that I would send some to Amy and Kathi. So I went through clothes and picked out some gently used shirts from my animal rescue, other shirts, cat toys, cat blankets, cat treats, cat wands, purses and unworn socks. 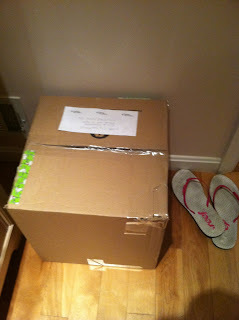 Right now, I have packaged it all up and it will be sent out tomorrow to Amy and Kathi. A big box of cat toys, treats, blankets and clothes for Amy and Kathi, from me. If you would like to send anything to Amy or Kathi - there is a ChipIn donation link for Amy here and Kathi here. We were invited by Gracey from The Tiniest Tiger to be a featured blogger for the Red Carpet Cat Walk Blog Tour. It is an honor for Sandpiper and I! The Tiniest Tiger Conservation Cub Club is all about cats; big and small. 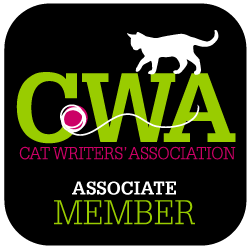 Their motto is "Small Paws United Can Make a Big Difference!" Gracey the cat, is the inspiration behind The Tiniest Tiger children's book by Joanne McGonagle. The Tiniest Tiger can be purchased on Amazon here. 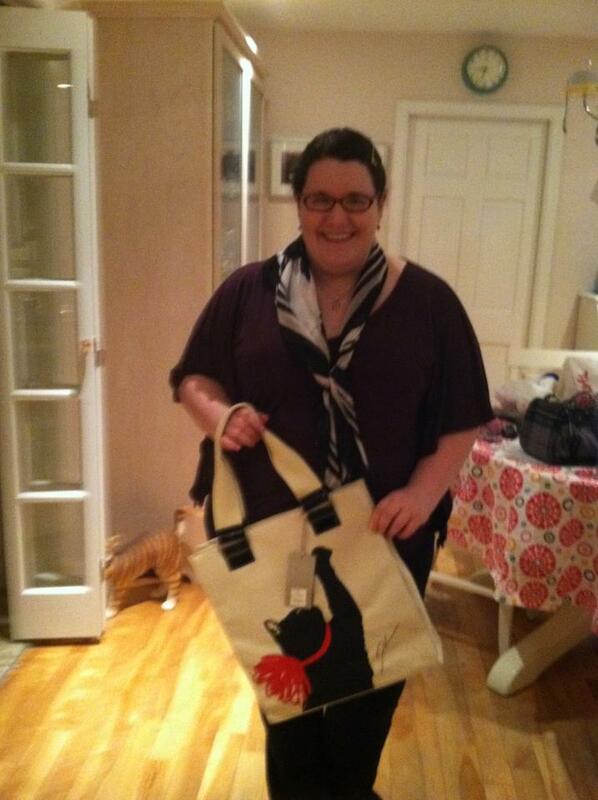 Gracey has crafted a fabulous hipster bag, that will be the Celebrity SWAG for all of the celebrity attendees! It is full of many excellent cat toys and cat product samples (which you can see here). Gracey sent me my very own Tiniest Tiger hipster! It just came today and I was so excited to get it and check it out for myself. Henry checking out the goodies! And very exciting....we have one to giveaway! Please enter your email, so I have a way to contact you if you win! Anonymous entries will be ignored. 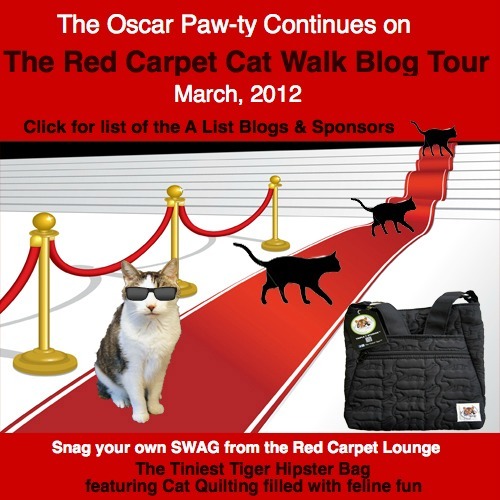 Like Sandpiper Cat Blog Facebook page and Tinest Tiger Facebook page for an extra chance! Accepting entries now! Winners will be chosen by random.org on Thursday March 1st at 8 pm EST. You can also be a proud owner of a hipster and purchase it here. 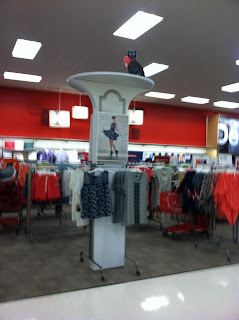 The most exciting part of the Jason Wu for Target collection was that Milu the Cat was featured on a few of Jason's items. 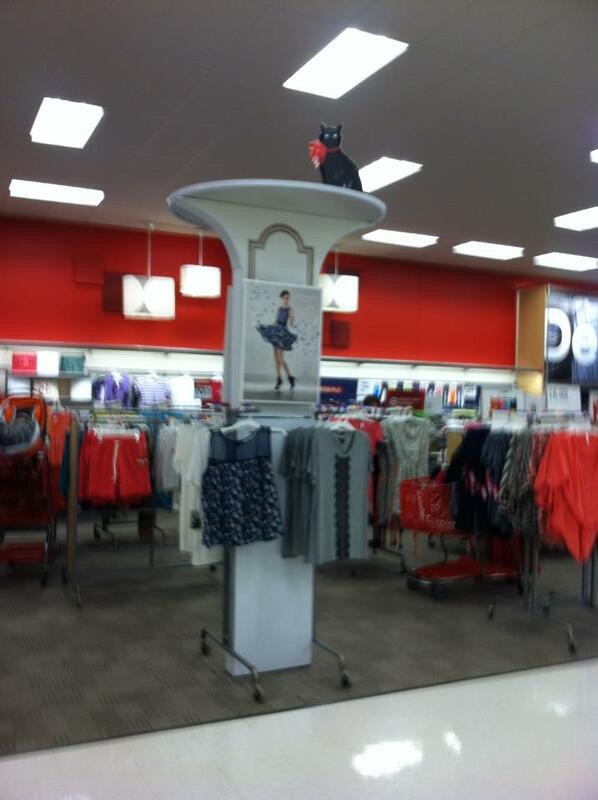 As any cat lover knows, these cat items were a must have. The best part about the Jason Wu collection items with the cats on it, is not only that they are cats...but specifically black cats. 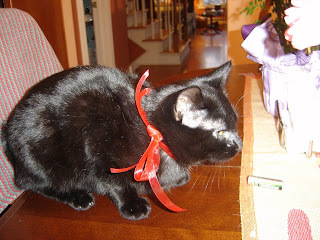 Black cats get a bad rap for being hard to adopt because they don't photograph well or are associated with superstitions. But man, those people who don't have a black cat? You're missing out on the sweetest cats there are. 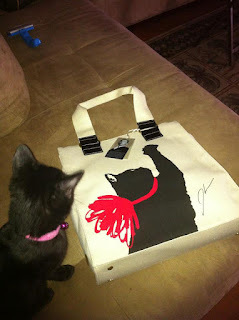 When I knew Jason Wu was featuring black cats, I knew that he was a wonderful person! The fact that Milu the black cat will be so popular will get people thinking about black cats in general, and that's a start. A group on Facebook called Jason Wu for Target :: Swap, Sell & Buy started to help people who did not get any Jason Wu items, or the items that they wanted, get them. People are selling only retail prices, not the jacked up eBay prices, in addition to sales tax, shipping & PayPal costs. Everyone in this group seems to have each other's best interests in mind. They all monitor the conversations, watching for what people need and going to Targets and buying the stock. Then selling what they have to the other members in the group. Some of the women (and men in the group too!) are making multiple Target runs (one person went to 12 Targets in a day) to buy items for each other. I've been guilty of buying 4 things through this group, and selling four items so far. 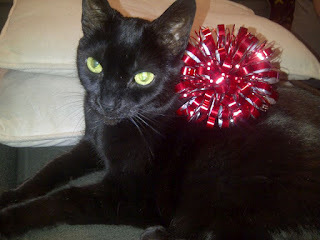 But back to the cats...everyone seemed to have a cat that resembled Milu, or tried to! Even my little Sabrina looks just like Milu. So I (will) have to get in on the action and post a picture of my Sabrina/Milu look alike...but for now I am featuring everyone else's Milu! No more Wu for you! Caption and photo by Shannon Sung. Designer clothes don't really interest me. Mostly because I'm a high school student who couldn't afford a $100 tank top. 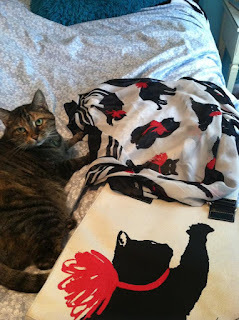 But when I read Catsparella's Jason Wu Preview, I knew that I had to own all the cat pieces from his collection. 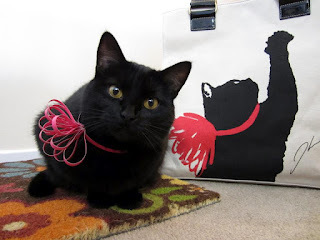 Catsparella's post was from January 11, and the collection didn't come out until February 5, so there was still a while to wait, and drool at the Youtube video featuring Milu, the black cat. 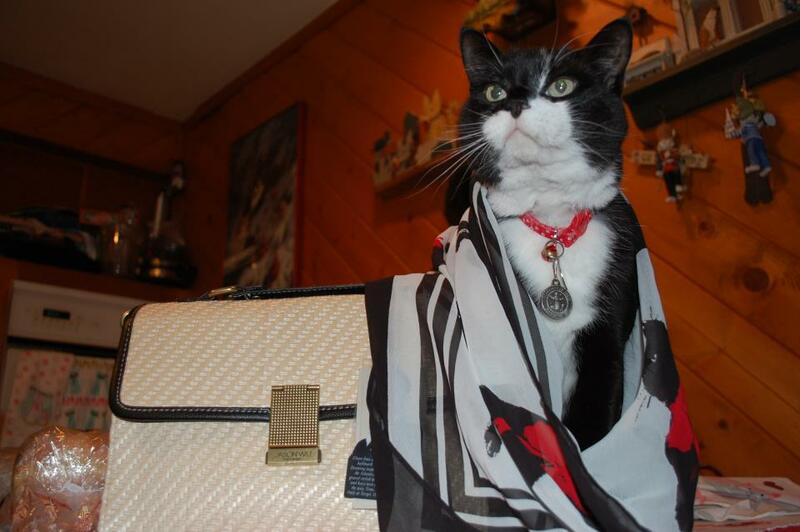 The tag line was "Mischief is in the details" and the collection is inspired by Wu's cat muse Milu. This cat looks just like my little black kitty Sabrina. I knew owning the collection was fate. And the fact that the collection is reasonably priced made it even more clear that it was destiny. The cat tote priced at $39.99, the cat scarf at $19.99 as well as the Milu tee shirt at $19.99. The accessories page when the site launched the collection. My original plan was to be at my Target at 8 am on February 5th when the collection launched, since my local Target was expecting to get the collection. Of course, I found myself reading the Target Style Facebook wall posts and learned that the collection would launch some time in the "early morning" which could mean 12 am and/or any time after that. So I figured, what the heck, I would stay up a little after midnight and see if I could buy anything. Well after many waves of anxiety of missing the cat items, mutliple refreshes of the Target Style Facebook page and the Target website, I was able to buy two of the Milu totebags and two Milu scarves (one for me, one for my mom). 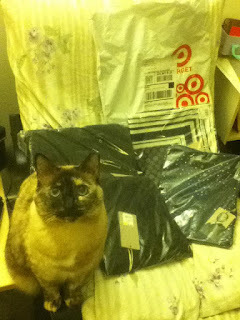 It was 1:30 am, I was satisfied and went to bed and did not intend to go to Target in the morning. I woke up at 11:30 am to read the posts from the early morning shoppers. I read that some people were in long lines, some were first in line, some Targets had barely anything from the collection, and some people were vultures (like the people in Miami) and bought all of the Jason Wu collection to sell on eBay for 300-500% marked up prices. 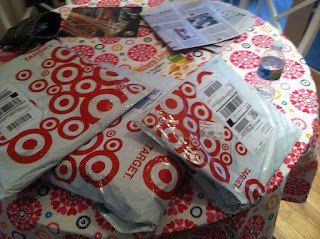 My mom had bought a few shirts online, and then headed off to our local Target to see if there was anything left. It turned out our Target sold out everything in five minutes, and there wasn't even the official Jason Wu display to showcase the item. My mom bought one shirt and headed home, defeated that she didn't get the Blue Floral Classic Flap Handbag, but glad that we had Milu items on the way. Still reading the posts on the Target Style Facebook page, I became worried that my orders would be cancelled, as many people had posted. Fortunately, by Tuesday 2/7 all my orders had shipped. I even found myself at our other local Target on Tuesday 2/7 and was surprised at what I saw! Two Jason Wu displays, and they even had some clothes on them! Most of the clothes left were in the large, extra large or size 16 range. I was surprised that there were even clothes left at all, when they had sold out online. I didn't buy anything though. Someone tried to snag my Wu! So excited to have the bags. 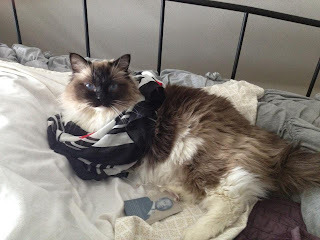 And then on Thursday 2/9, my Milu scarves came in the mail! 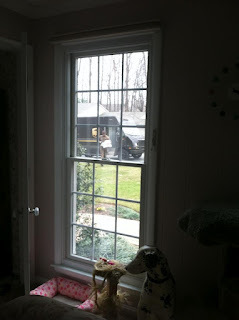 I came into the house screaming with glee! 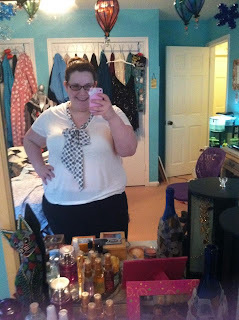 I tried it on and wore it for the rest of the day. I kept checking the UPS website to track the rest of my clothes and totebags and it turned out they were scheduled to arrive on Friday 2/10. And on Friday night, all the cat items were home safely with me! This is post 1 of 3 of my Wu saga. Stay tuned for later posts this week! Every time I find myself in the shopping center by my house, whether it is to pick up groceries from Safeway, or get something from the latest Vera Bradley collection, I always wander over to the vet in the shopping center, and look in on the cats they have up for adoption. And it's not only me who does this, my mom and brother love to look too. I guess it's the cat sucker in us, that always has to check out the kitty in the window. And of course, there happened to be a cat there yesterday when we were picking up sandwiches. But this cat wasn't just any other cat. She was a tortie, looking dead at me through the window. I dragged my mom and brother in to go look at this little kitty. 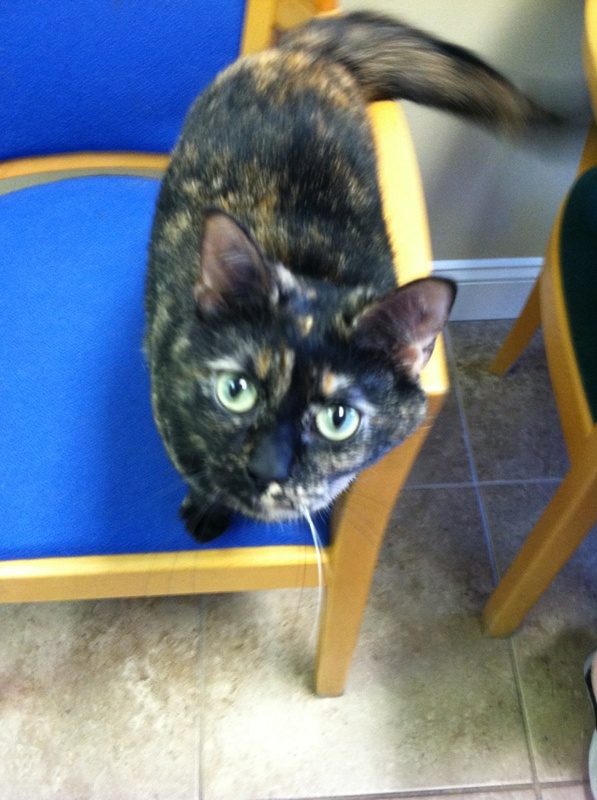 It turns out, her name is Zelda and she is the vet practice's cat. She was so friendly and affectionate, the typical opposite of a tortitude. She rolled over onto the chair for a belly rub and was so into the attention that she rolled off of the chair! Needless to say...I'll probably find myself back at the vet sooner than later...to visit Zelda! 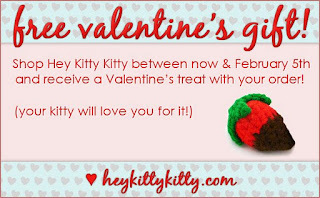 (First) Valentine's Day Cat-Gifts Guide! 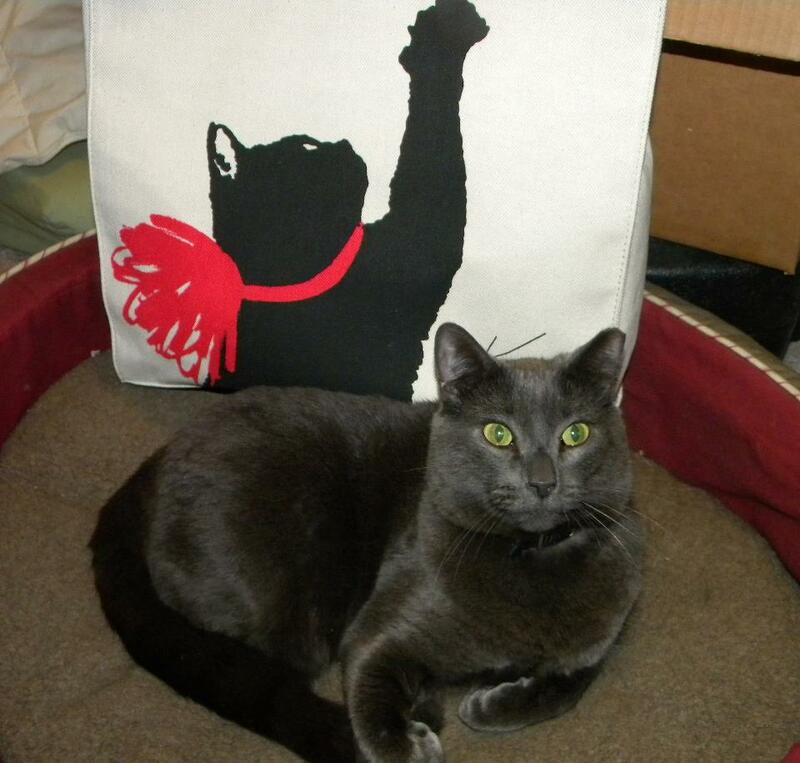 In the spirit of the red and pink season, we are doing a gift guide here at Sandpiper Cat! Here is a wonderful list of excellent gifts for your kitties and cat loving friends! 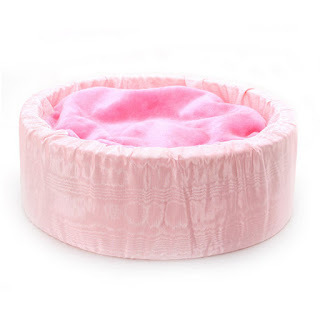 A plush, pink, luxury cat bed by Modern Cat. It's on sale online at the Modern Cat Esty shop for $40! Other favorites at Modern Cat are the Lynks Felted Wool in Rasberry Cream $8 for a set of three (sounds good enough to eat). 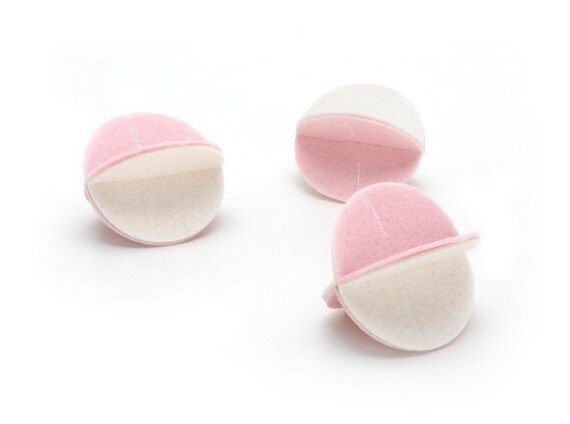 And the Pink Felt Rollers $5 for a set of three, are adorable too! 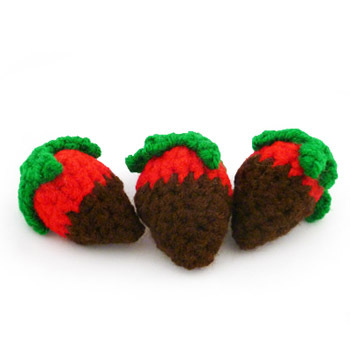 My favorite cat toy online (that I don't actually own) is the Chocolate Covered Strawberry Cat Toy from Hey Kitty Kitty! They even have the option to have the toy made without bells or catnip...for those overly nip ridden nip-heads. And if you order before Sunday February 5th you can get the chocolate strawberry cat toy for free! 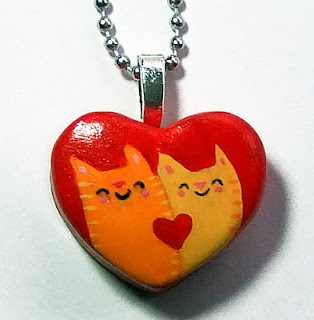 An adorable necklace for the cat lady in your life is the Valentine Cat Love Necklace. Handmade by The Happy Acorn, available on Esty $24. 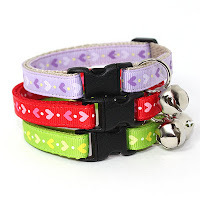 A cute accessory for your cat is the Love Hearts Valentine Cat collar by MogsTogs on Etsy. It is even a safe breakaway collar for your kitty! 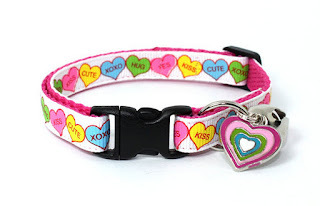 Who says you can't get cute breakaway collars. Also made by the artist, another cute set of heart cat collars in different collars. 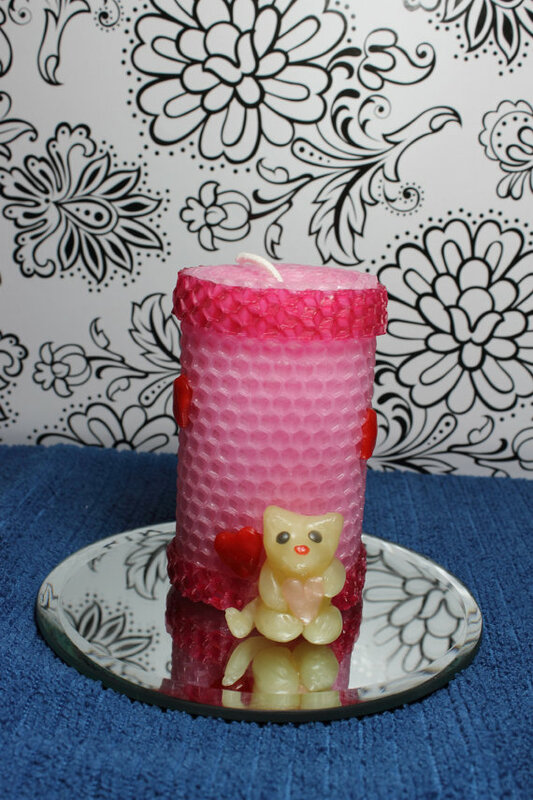 If you're comfortable having candles in your house and cats...this little number is for you! 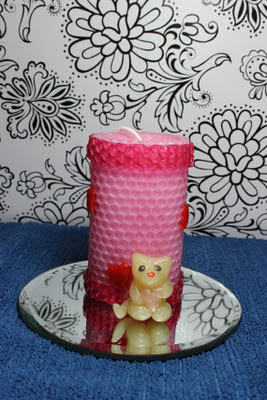 Valentine's Cat Candle on Etsy! Too cute.